Longs Farm, an enchanting medieval farmhouse currently standing empty in rural Suffolk, provides an inspiring and unique setting for the artwork of five distinctive artists, who are all participating in Suffolk Open Studios in June 2014. 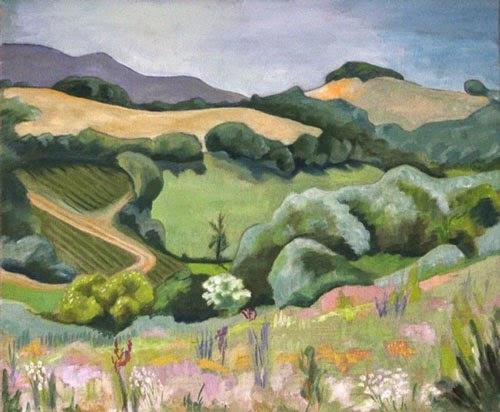 Christine McKechnie and Gillian Crossley-Holland, both founder members of Artworks will be joining ex-member Jenny Goater, with fellow artists Jane West and Nicolette Hallett, to fill the entire farmhouse with the best of their art as a precursor to opening their art studios to the public in June. The exhibition will contain a selection of drawings, paintings, collage and sculpture. Christine McKechnie will have on show her popular, intricately crafted, watercolour-painted cut paper collages. These are personal memories of places evoked in colour. They could be of her garden outside her art studio, on which she spends much time and love, a tree down the green lane analysed on her daily walk, or visits to the Suffolk coast. There are also collages of loved places further afield – Glyndebourne in Sussex, Seatoller in the Lake District, the Arsenale in Venice, Thailand, Cambodia, and Hong Kong. 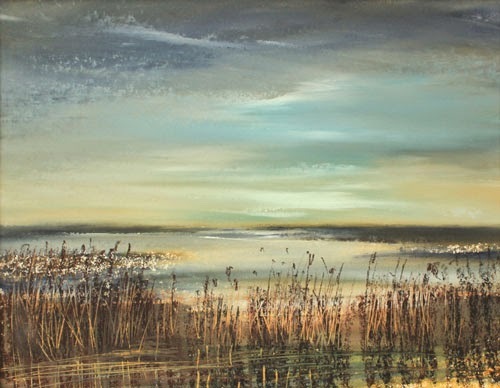 Gillian Crossley-Holland will be displaying her distinctive and evocative paintings of the Lopham Fens and the North Norfolk coast. These are paintings that explore her love of crossing places and edges, places where the earth is little more than a reflection of the sky, or places where the sea meets the shore, forever shifting back and forth and never permanent. 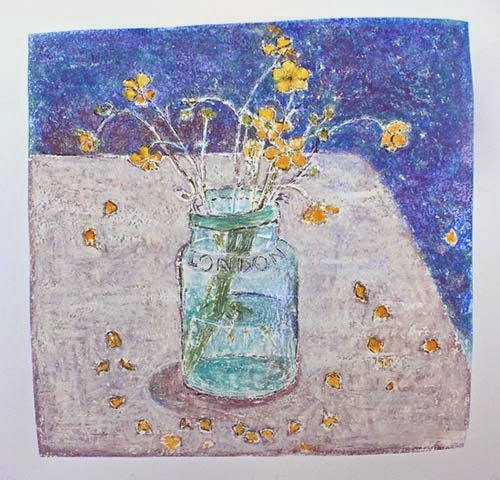 Also on show will be some of Gillian’s recent still life drawings of spring flowers; pots of primroses, jugs of wallflowers and vases of tulips all worked swiftly in bright colours and vivid marks. These drawings provide a strong visual contrast to her landscapes and seascapes but the subject matter still explores her fascination with the fragility of permanence. This special exhibition at Longs Farm is open to the public during the Spring Bank Holiday weekend of 3rd, 4th, 5th May 2014 (Saturday to Monday), from 11am to 5pm. Parking is available at the entrance to the farmhouse. Please note, due to the age and structure of the building, disabled access will be restricted. 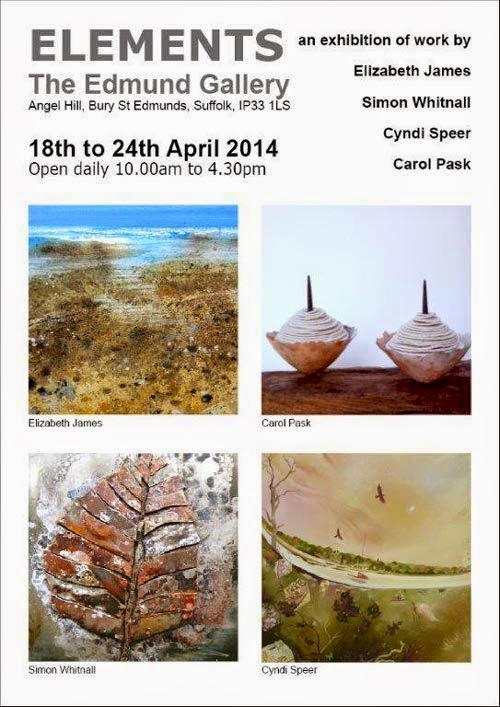 Suffolk Open Studios takes place over four weekends: 7/8th, 14/15th, 21/22nd and 28/29th June 2014. Please visit the Suffolk Open Studios website for individual opening times of artists’ studios. 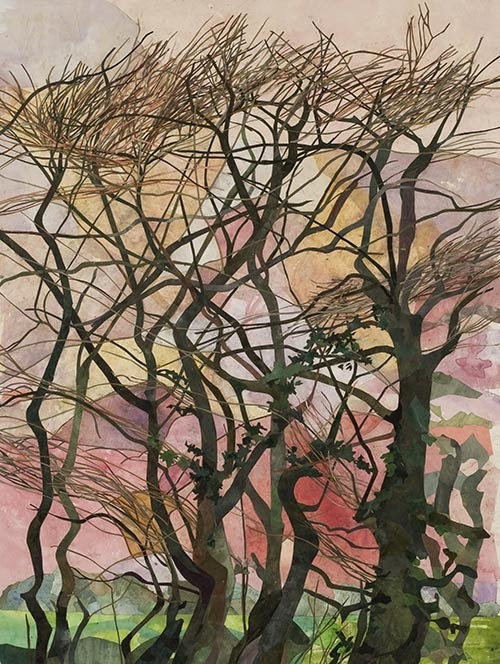 This entry was posted in artworks news and tagged christine mckechnie, collage, exhibition, flowers, gillian crossley-holland, jenny goater, landscapes, sculpture, suffolk, suffolk open studios, trees on April 25, 2014 by admin. Carol Pask is exhibiting with three other Suffolk artists in a new art exhibition, Elements, at The Edmund Gallery, Bury St Edmunds, Suffolk. The exhibition will include new landscape paintings by Elizabeth James (an associate member of Suffolk Open Studios), oil paintings by Suffolk-based artist & illustrator Cyndi Speer, together with a selection of small metal sculptures and ceramic pieces by artists Simon Whitnall and Carol Pask. When seen together, the artworks on show will provide a refreshing insight into contemporary art inspired by the East Anglian landscape. The show runs from 18th to 24th April 2014, and it is open daily 10am to 4pm. The artists will be in attendance during the exhibition, ready to greet visitors and answer any questions about their work. 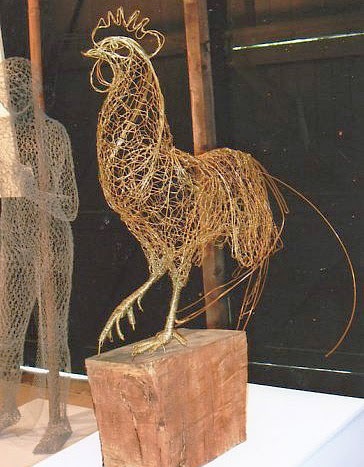 This entry was posted in artworks news and tagged bury st edmunds, carol pask, ceramics, exhibition, sculpture, suffolk on April 17, 2014 by admin.